Trailer Transport is not the easiest task, it seems. It looks time-consuming and stressful. Still, there are situations when Trailer Shipping can’t be avoided. And in reality, when you deal with a good auto transport company, there is no stress involved. 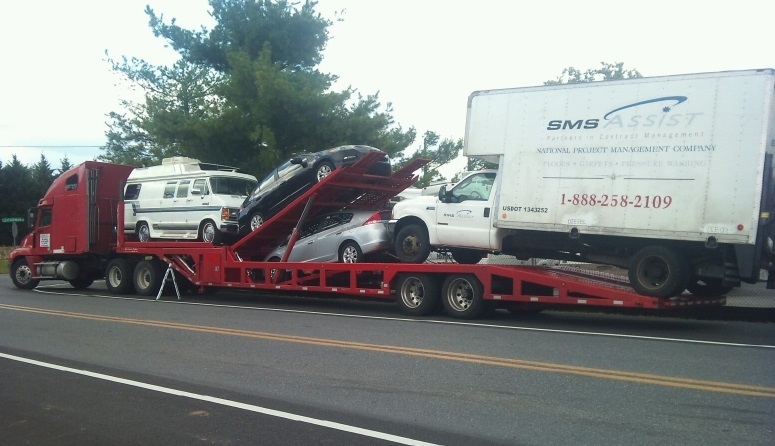 Do some research to see what car shipping companies provide dependable Trailer Transport services. When you contact them, let them know what kind of trailer you want to ship and its’ dimensions. As they greatly vary, you should make sure the company you are contacting can work with your type of trailer. Denver Car Shipping can help you with any kind of Auto Moving. Our professional team knows how to deal with all makes and models of different trailers. If you work in the business that requires transporting tools and supplies, you probably use cargo trailers for that matter. It’s a perfect vehicle to help you with moving heavy items. If you need Cargo Trailer Transport, Denver Car Shipping will be happy to help you with that. Trailer homes are used like residencies. Some people use them as regular residencies that can be moved at any moment, others only use them from time to time. For instance, it is rather popular among so-called ‘snowbirds’. When you need to ship your mobile home, Denver Car Shipping will be there to assist you. We also can do Denver Auto Shipping for solar trailers. Solar trailers are very helpful when you need a mobile power back up you can use on-sight. They are often used on construction sights. We can help your business with Solar Trailer Transport, saving you time and money! Get your free quote for Denver Auto Transport today on our website! You can also call us during our business hours. Denver Car Shipping will be happy to assist you!